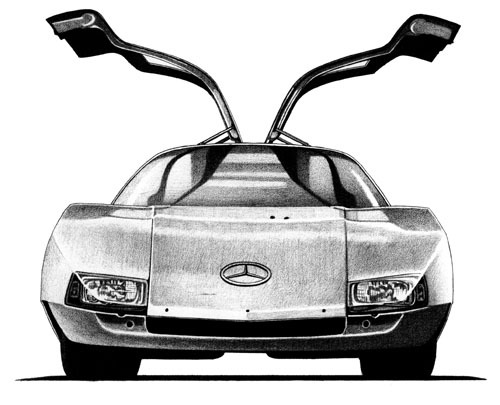 Randal did this drawing of a Mercedez Benz Prototype Model C-111 in the 1980’s. 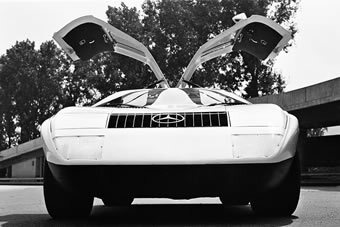 Based upon a photo of this experimental, Wankel-powered automobile, the illustration was done by hand with ink lines and black wax pencil shading on croquill board. Croquill board has a bumpy surface that when certain types of dark pencils are rubbed across, it creates a “stipple” effect.